Yesterday we decided to take a day trip to Kenosha. They have a Civil War Museum and we also toured the Jelly Belly Factory. What a great day! 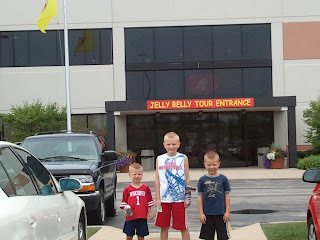 The Jelly Belly Factory was a blast! 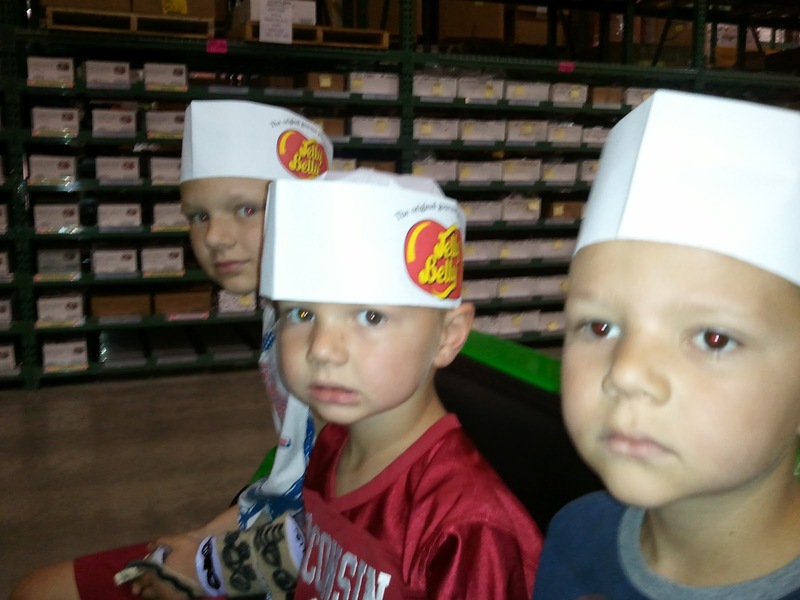 We rode a train around learning how the jelly beans and other candies are made. Then we got to sample any or all the jelly belly flavors there are. 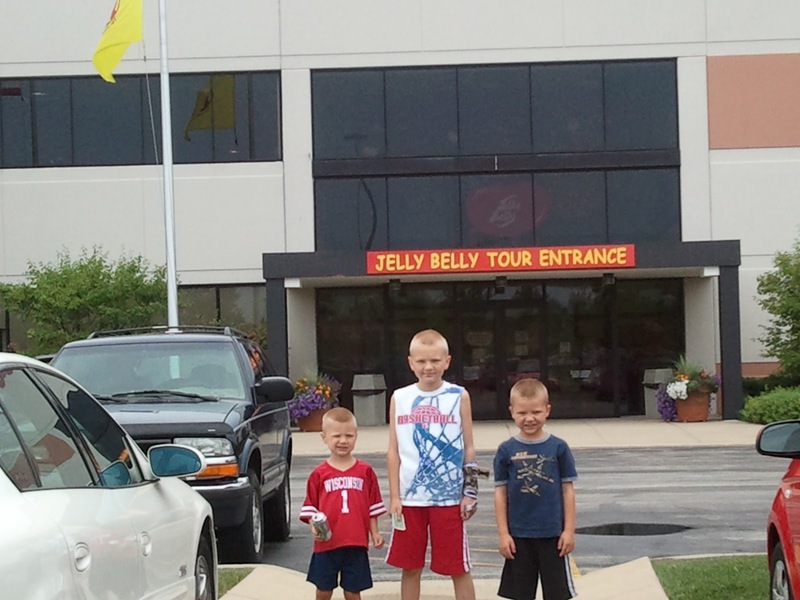 Caleb even tried the Skunk Spray Jelly Belly. He liked it! BLAH! See video below. It was cheap and fun entertainment. the tour is free. You receive a bag of Jelly Bellies each for free. 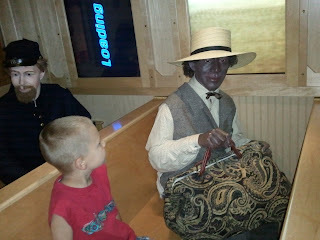 I gave each boy some spending cash to purchase a memento from our visit. What they each bought was completely representative of each of their personalities. Caleb purchased the Been Boozled game. This is a pack of Jelly Bellies that has the gross beans mixed with good tasting beans. The are the same colors so you don;t know which is which. It comes with a spinner and you play a game with the box. You spin and whatever it lands on you have to find that bean. You could get the blue bean. It would either be toothpaste flavored or blue raspberry. You might get the orange colored bean. It could be peach or it could be barf! Maybe you get the white bean. It could be buttered popcorn or rotten egg! John was a good sport and played the game with the boys. It was hilarious. David bought the best value for his money. They have what they call belly flops. These are candies that taste the same but either stuck together or weren't the right size. He went for volume of candy for his dollar. I can testify they were tasty. Nathan bought a Christmas ornament. He loves looking at pretty things and playing with trinkets. I was amused at their purchase choices. 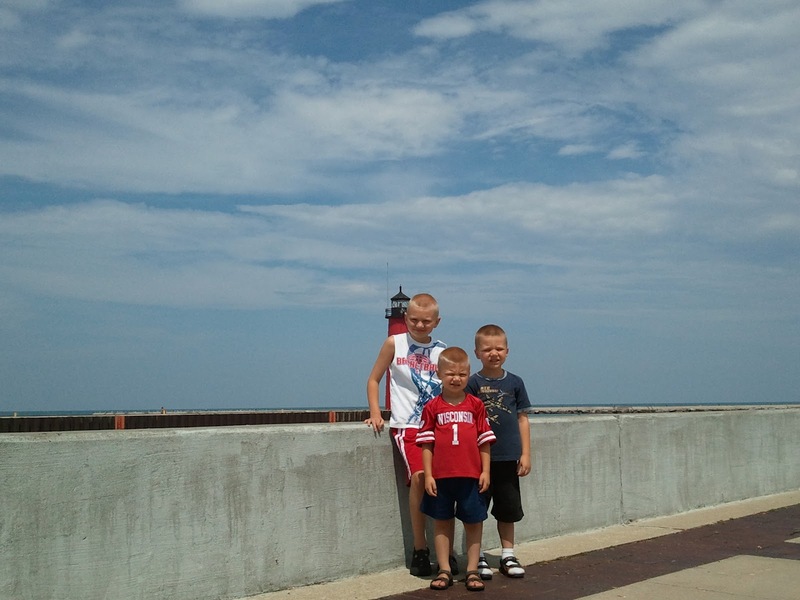 After Jelly Belly we walked the shore of Lake Michigan. The kids were amazed as a group of teens where jumping off the ledge into the lake. It was a mild weather day and we saw a number of sailing ships and other boaters. It was a beautiful scene. 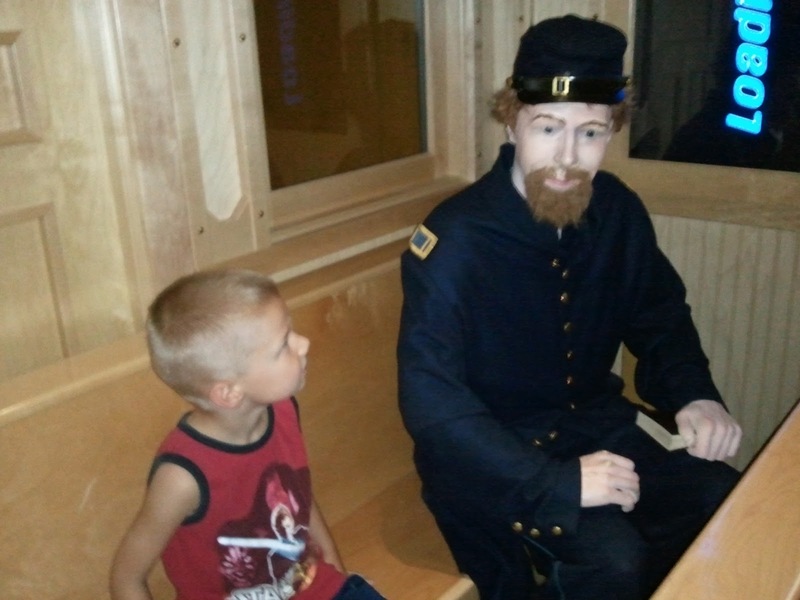 Last stop was the Civil War Museum, They had a lot of cool weapons, a Morse code machine and a train that was really outstanding. 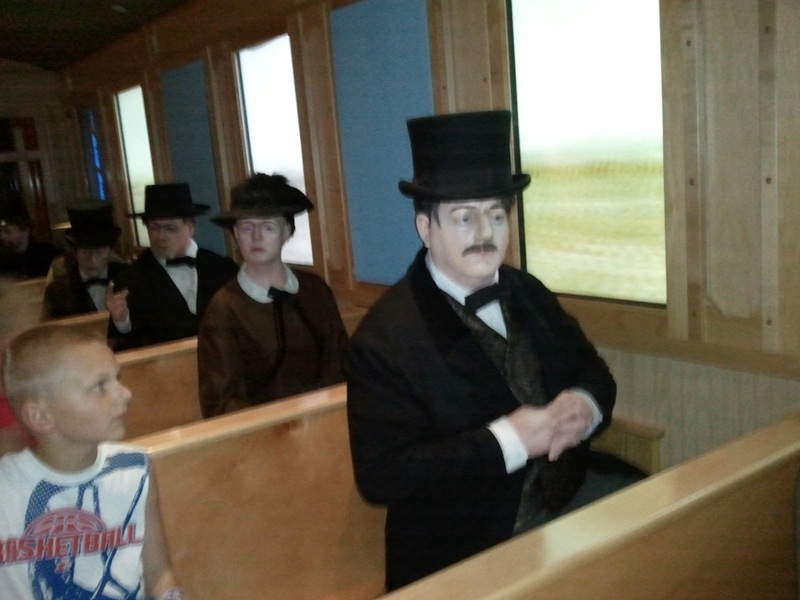 The train had 8 different mannequins in each seat. The boys could sit next to one of the "people" and it would begin to tell you their story. This was really outstanding. We did this whole day lunch included (but not gas for van) for less than $30. 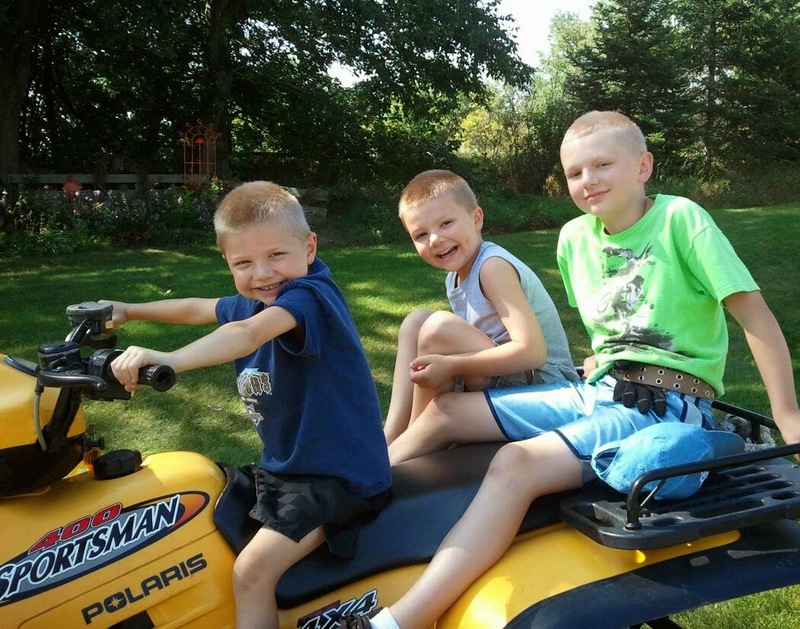 Much better than taking them to the fair.